...is about to change. And no, we're not pregnant. I bet that's what you were thinking, wasn't it? Our news is quite different than that. Today marks the beginning of something new and exciting for the Hills. 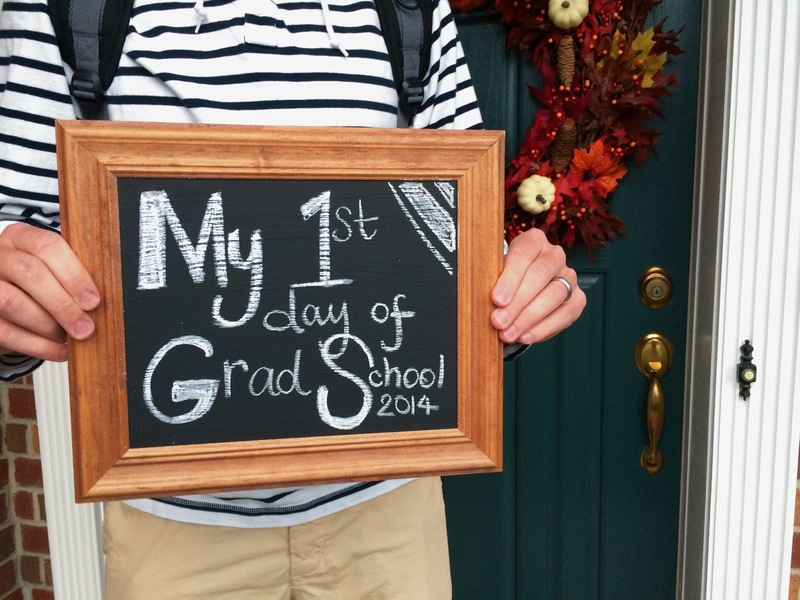 It's husband's first day of graduate school!! We've been talking about this day for over a year now. It was just a dream, a shot in the dark. It was the reason why we left Maryland and came back to Virginia. We took a leap and held onto our faith. Then husband applied to Virginia Tech's Mechanical Engineering graduate program this past winter. We said our prayers and crossed our fingers until the email popped up in his inbox. He hadn't gotten in. It was crushing and we were so confused about the plans we'd prayerfully made. We had so confidently thought this was surely the path we were supposed to be on. And yet, there we were with our plans crumbling before us. God's timing is perfect though, and often not to be understood. Instead of us taking control of the situation we let it go and gave it to Him. Like He always does, God was there and we could feel it, leading us on a different route to graduate school. 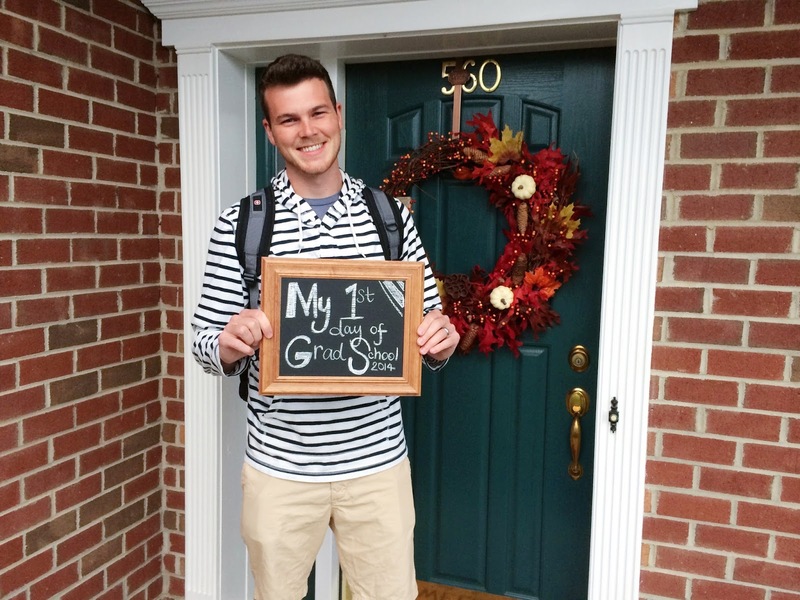 Within the month, Pete had a graduate advisor and his application was reconsidered. Pete was accepted and officially a graduate student \in Aerospace Engineering. After living through this quick turn around in decisions, we began thinking ahead to what life would be like with husband working a full-time job while pursuing his Master's degree. I cringed and still do thinking about how different life is about to become. Homework will become a common word in our household, and late nights working through class projects will become the norm. Our time together will look different and will be less. The next two and half to three years are going to be a novel experience for the two of us. And while I'm not too sure how I feel about it at all times, I know for sure that I am so proud of husband. He's going to be an exceptional graduate student, pushing himself through it all, paving a life for us and our future family, and reaching for his aspirations. His potential is boundless. This guy of mine is something else and I couldn't be more happy to call him mine. So with today changing life as we know it, I am comforted in knowing that it's God's plan for our little family. He will bring us through it, making us stronger than we are now. Our day-to-day is taking on a new look and feel, one we will eventually grow accustomed to. There will be times when it's hard and trying, but the light at the end of the tunnel is already shining. What once was his dream alone, has now become our dream. I'm starting to believe that this change isn't so bad after all. As we adjust and figure out this new chapter of our lives, we ask for your prayers. And if you were wondering just how excited husband is for this new adventures, just look at his face below. I'm telling you, this guy is going to rock graduate school! 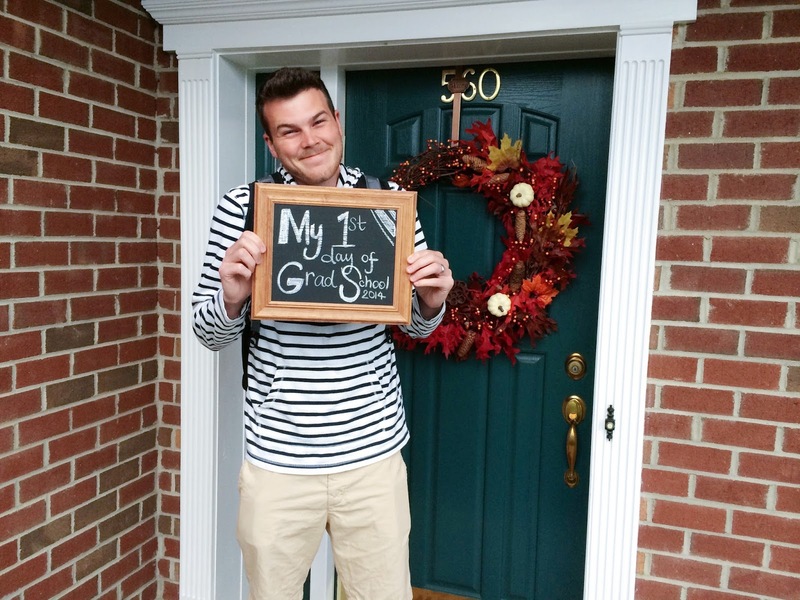 And he's such a sport for holding up this chalkboard sign; who says 23 years is too old for a 'first-day-of-school' photo taken? !